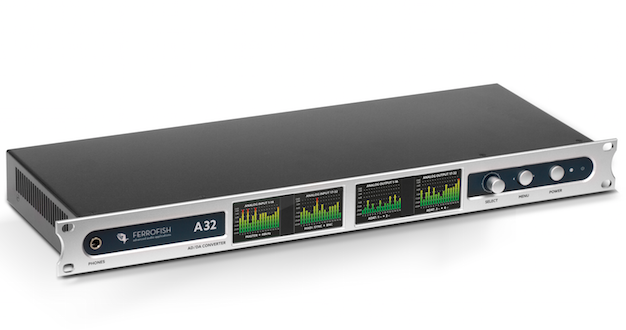 At first glance, the A32 looks like a modern audio interface from another German pro-audio manufacturer. Fortunately, the usual German build quality is evident here too, but despite these comparisons, this is a unique piece of kit. To add to the wide array of solutions the A32 already offers, a Dante enabled version was announced recently. Here, we investigate the current model to learn how Ferrofish are presenting an alternative approach to dealing with potentially complicated scenarios. Although the A32 has a lot going for it, it seems to have escaped the technical spotlight, so perhaps the addition of Dante will secure it a brighter future, both in the studio and on the stage. I looked forward to getting my hands on the A32, to really find out what it could do. Well there isn’t really another product out there that’s quite like the A32. It isn’t an audio interface as we think of interfaces today. There is no USB, Thunderbolt or Firewire-style connectivity to act as a PC sound card. There’s a USB port on the rear but that’s used for loading new firmware. 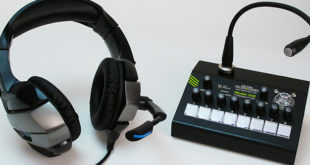 It is an interface however, which bridges the analogue audio domain with the digital world via MADI and ADAT connectivity. The A32 has a lot to shout about. For starters there’s the channel count, which totals up to 258 audio paths. This consists of 64 bi-directional channels of MADI, which can be connected via optical or BNC connections. Also there are 32 bi-directional channels of ADAT via four pairs of TOSLINK inputs and outputs. Then there’s the 32 analogue line inputs and 32 analogue line outputs, plus a stereo headphone socket for monitoring. All this in a single 1U rack space. One thing to bear in mind of course with MADI and ADAT technology is the differing channel counts at various sample rates. 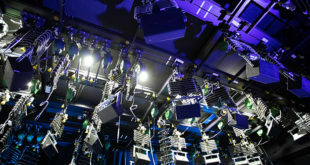 Over MADI for example, 64 channels can be transmitted and received up to 48kHz, and 32 channels can be used at 96kHz. 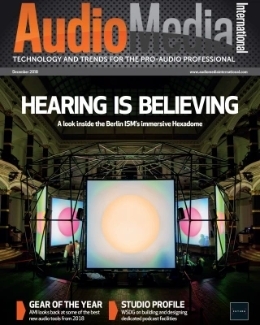 This shouldn’t be a problem as you can still use all of the analogue I/O, but something to consider as the live sound world seems to be moving up to 96kHz. Over ADAT, sampling frequencies are supported up to 192kHz with SMUX, but that’s a lot of lightpipe for a reduced channel count. I’m not sure how many audio interfaces have more than two pairs of ADAT ports anyway. 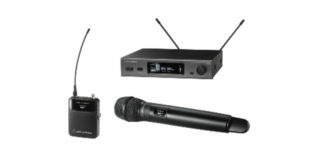 The A32 has been designed carefully for use on the stage with a robust and stand-alone form of operation, plus the inclusion of redundancy features. Redundant dual power inputs are available, which utilise a screw thread connector. Redundancy is also there on the MADI side, where the optical and BNC connections can be used simultaneously. I think this is great, making full use of the hardware present. All these features add up to present a unit that could facilitate many jobs. I believe the most common will be for utilising more channels of an analogue console in the studio. MADI expansion of this nature could easily be the most cost effective solution for this number of channels. Sonically, the A32 is thankfully what I expected it to be. Interestingly, but perhaps unsurprisingly, I would class the A32 in the same bracket as RME’s later products. The sound is very clean and natural, which you would expect from a device that might be a ‘set and forget’ unit as part of a larger installation. Regarding the installation aspect, one feature I don’t think Ferrofish make a big enough splash about is how quiet the unit is – as the A32 doesn’t have a fan, ?the whole time I used it there wasn’t even a whisper. If you haven’t seen an A32 in action yet you might be surprised to learn that the whole device is controlled from the front panel. There isn’t any PC software to control the device. This could be something we see released this year, which would be useful for remote control. However, the general operation of the unit doesn’t call for one. The user interface of this device has to be one of it’s selling points. On the front panel there are four beautifully sharp and bright TFT screens, which default to display very accurate and useable metering – something many other modern devices struggle with. To the right of the screens is a simple rotary encoder and push button, which is used to navigate and control all aspects of the A32. The menus are intuitive, complete with help screens so that any user can walk straight up to this device and easily find their way around. The user interface via this single encoder and button control is surprisingly efficient too. For example, editing the mix settings for the seven headphone mix presets is relatively easy even with 32 channels. It’s clearly not intended for mixing live, but it does serve its purpose extremely well. It’s refreshing to use a product today that out of the box you can get it up and running without having to find another USB port and install a driver. I can see that remote control for live applications would be useful though. At the time of writing this review, Ferrofish have announced a new A32 being released, with exactly the same spec plus the addition of Dante. This is big news for Ferrofish who will now be able to offer an alternative Dante-MADI-Analogue bridge, particularly to the live sound world. There are currently very few routes to take if you need to bridge MADI to Dante for example, and usually these are expensive. With all the benefits and options that Dante carries, this is sure to open the A32 to a bigger market where it’s uses are countless. We need products like the A32. It’s an answer to a solution that some might not be aware even exists. 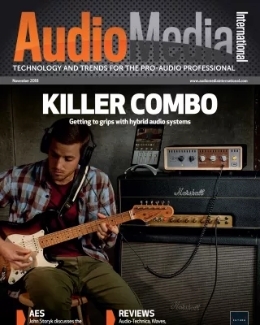 If you’re trying to find an efficient way to handle high channel counts, in particular bridging digital and analogue domains, then the A32 might be the most efficient answer. The usability of the unit is refreshingly simple in a world where we all need an IT degree to just load a project. I wish them to continue their developments and release more products in the same vein. 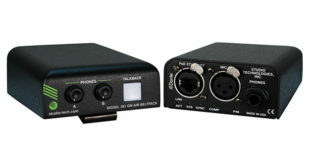 Mic preamp units or stage splitter systems for bridging between different AoIP technologies would be really exciting. For me, the addition of Dante coming this year should raise the profile of this product significantly. 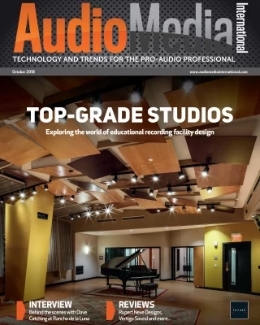 Live sound has welcomed AoIP technologies with open arms, and now slowly studios are realising it’s pretty clever stuff. With no concern over build quality or reliability from the Germans – or the unit’s sonic performance – if the A32 meets your requirements then you’re in safe hands. Simon Allen is a freelance, internationally recognised engineer/producer and pro-audio professional with nearly two decades of experience. Working mostly in music, his reputation as a mix engineer continues to reach new heights.